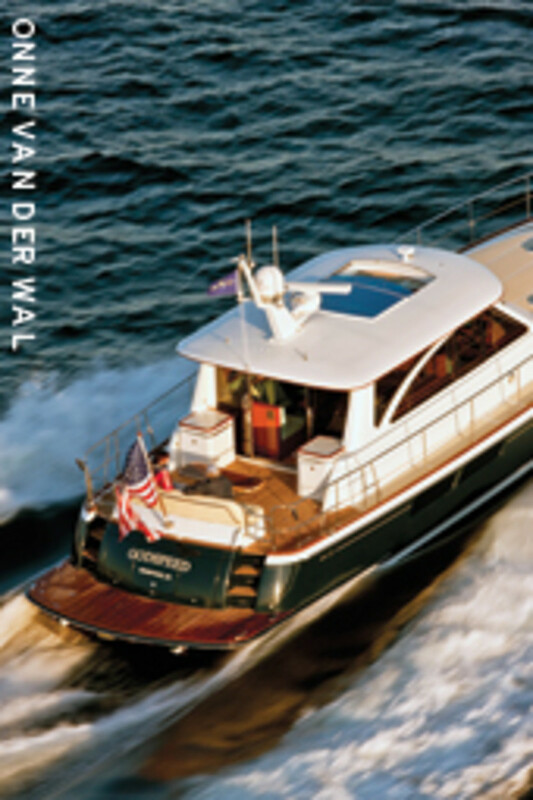 Two features set a cruising boat apart from the rest, and from those two features come many special elements. 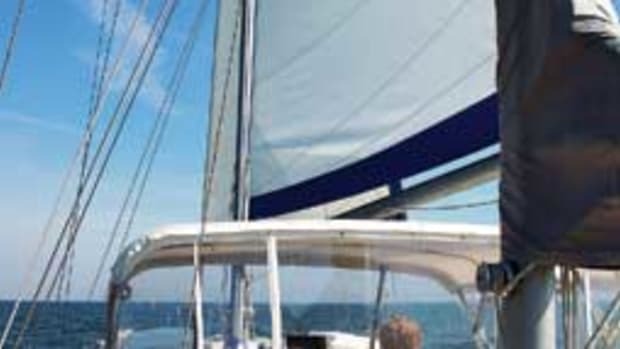 A cruising boat must be able to keep you comfortable while aboard for long periods of time, and it must be able to safely take you long distances. 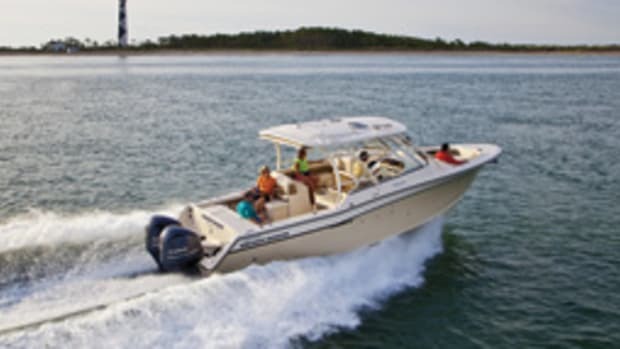 A long period of time could mean years or several weeks, but it will be longer than the quick trip out and back on a Saturday afternoon that characterizes most boating. Long distances can mean around the world or just several hundred miles, but it’ll be much longer than a trip to a nearby marina or fishing spot and back. Essential to both of these features is that a cruising boat needs to be self-sustaining. The degree will vary with the type of cruising you do, but being able to comfortably live in your own little world without being plugged in and hooked up is fundamental to cruising. You might think you want to cruise from marina to marina and that this feature isn’t so important, but you’ll miss some of the very best of the experience if all you do is marina hop. 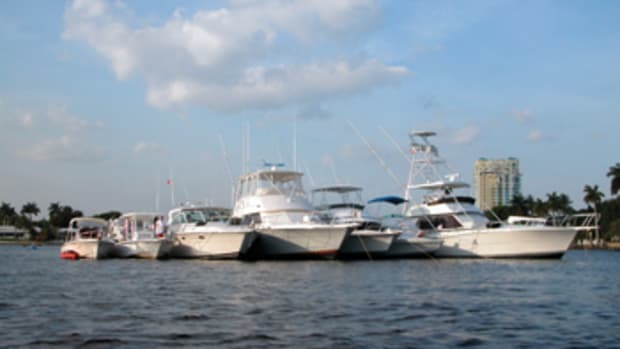 True, good marinas can add greatly to the experience, and most of us really appreciate this part of it, but there’s far more. My wife, Mel, and I have been amazed through the years as people ask: “But you don’t eat on the boat, do you?” When we tell them of course we do, they frequently come back with an incredulous, “Well, do you mean you actually cook on the boat?” This gives us the golden opportunity to explain that we’ve spent months at a time aboard without ever tying at a marina or going shopping. We tell them about getting meat by spearing fish and lobster, about the early days of collecting rainwater and the later days of making water from the sea with a reverse osmosis system. We tell them about generating electricity from the wind, how we grew sprouts and took along 5-gallon containers of wheat and ground it into flour with a stone grain grinder when we wanted to bake bread. We tell them about making diesel repairs at sea, changing out props over white sandy bottoms in the Bahamas and fixing outboards. At this point people are often trying to politely back away. But it’s not just fun telling about it; it’s a lot of fun cruising this way. You can cruise the way you want, but missing out on the pleasures of being at anchor at night and the unique feeling of being in control of your life would be a shame. 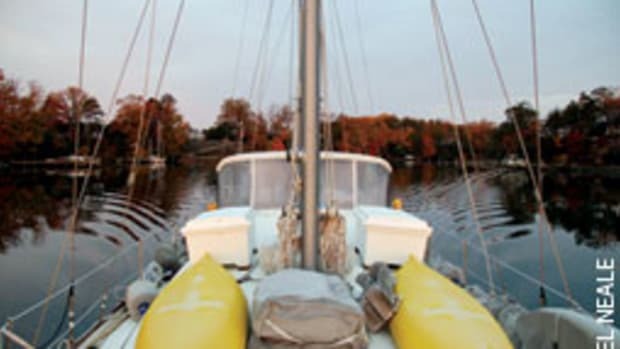 So depending upon how much you want to marina hop — and how much you can afford to — your boat should be able to serve as your very own independent world for the lengths of time you wish. Here are some other elements that will allow you to do this. Anchoring gear: Many boats are not built to anchor well. If you cruise enough you’re going to need to anchor on occasion. The subject of good anchoring gear would fill many pages. Briefly, good anchoring gear includes an oversized windlass, a good source of power for that windlass, hefty backing plates, oversized strong points to attach rode (backed by hefty plates), well-designed and supported rollers, and space and carrying capacity for enough chain and at least two anchors of proper size. Some boats lack the ability to safely carry this gear because it overloads the bow, causing dangerous trim. These boats, in my view, are not good candidates for cruising. Storage: Some builders go for the “oh wow” boat show response by opening up areas to make the boat’s interior look spacious when they could have built cabinets and bins. This may be fine for marina hopping, but not for cruising. Look for storage space if you’re buying. But if you already have a boat, you might be able to build in cabinetry, cut hatches in cabin decking or do other things to give you more places to put stuff. The longer you want to be independent, the more storage you’ll need. Tankage: How much potable water the boat will have to carry depends on your personal habits, as well as how you cruise. When we went to the Bahamas with our two young daughters, our two 150-gallon tanks would last a month with daily showers. We topped off with rain whenever we could, but this wasn’t reliable. If you don’t have this much tankage or would need more water, consider an RO watermaker. They’re much more reliable than in the early days and don’t take up much room. Ours makes 15 gallons an hour, more than enough for daily use, with a few hours of running the generator, which we’d be doing anyway. Adding tanks must be done cautiously because upsetting the balance of a boat can be dangerous. Fuel capacity is also critical but often manageable. Trawlers and sailboats usually don’t have a problem with this. Express cruisers and other planing boats often do. Their tankage is limited because of weight and the builder’s assumption that they’ll be marina hopping. However, we’ve seen many of these boats having a great time running for days at displacement speed without refueling. But, as with other issues, you’ll need to consider how you want to cruise. We’ve had weeks go by in the Bahamas out islands with no diesel available because of tanker problems, storms and poor planning. But if your cruising is to be coastal, getting fuel when you need it will be less of an issue. Household power: You will need to be able to run the gear that makes you safe and comfortable. This usually means a good diesel genset for your on-board power grid. But you need more. It’s a drag to run the generator all the time to keep creature comforts such as refrigeration, lights and the television on line. It’s particularly a drag when you’ve found that perfect anchorage and settled in to a beautiful evening in paradise. A cruising boat needs good deep-cycle batteries. We have an auxiliary bank of two 4D Rolles and a house bank of two 8D Rolles wet lead-acid batteries. Both banks are modular. The cells are installed individually and strapped together. This makes it easier to find a place for them and to load them. Rolles now makes AGM batteries, which are said to be even better for cruising boats. Our banks are charged while under way by a heavy-duty Balmar alternator and smart regulator. During generator time (and shore power time), they’re charged with a Xantrex ProSine 2000, which can ramp up to 105 amps DC incoming, but also can be set for the specific batteries and has a smart-charge regulator. The ProSine inverts the battery power to true sine wave AC power when we’ve shut down the engines. We can lie quietly at anchor, watch television, use all the ice we want from the icemaker, microwave and do many of the other things that require AC power. But you don’t have to use as much electricity as we do. It’s your comfort level you’re satisfying, not ours. You might be able to get by with a wind generator and/or solar cells. The latter are improving significantly. The new Solbian solar cells are so thin and flexible they can be sewn or fastened with zippers to Bimini tops. Wind generators and solar cells are relatively expensive for their output but nowhere near as expensive as a diesel generator, and they usually require far less maintenance. Some use these for supplemental power. Creature comforts: The power you consume, the pleasures you enjoy, the time you can stay out — all are affected by the type of equipment you have. Refrigeration is an important example. If you have a standup house-type AC refrigerator, it’s going to take a lot of power from the batteries, via the inverter. You’ll have to run the generator much more. However, there are relatively low-cost, effective and efficient DC refrigerator/freezer units on the market. The key to any such unit is a well-built and insulated box for refrigeration and freezing. You can get detailed instructions for building these from manufacturers, and most yards are familiar with these projects. There’s often ample space, particularly if you take out the “house” fridge that’s designed for the shore grid. On our boat, we have stainless-steel holding plates in well-insulated boxes. This older methodology freezes the eutectic solution in the plates during generator time — or, if set up properly, while running the engine — and the plates maintain the refrigerator and freezer temperatures for long periods of quiet time. Cooking is another good example. Many change their 220-volt kitchen ranges to propane because an inverter won’t power it. We used propane for years, but I became increasingly uncomfortable with it. When we got our present boat, we kept the electric range, using it when the generator is on or when we’re plugged in. At other times, we use the microwave, an electric frying pan, a crock pot, a toaster and coffee maker with our inverter, though not all at the same time. We also use an Origo single-burner alcohol stove. Our galley serves us perfectly well when there’s no generator or shore power. Overall basic comfort features are fundamentally important. These include head compartments that fit real people, separate showers, well-thought-out galleys, comfortable beds and — perhaps one of the most elusive design features of all —comfortable seats. An enclosed or enclosable, comfortable steering station is also critical. Accessibility: To be self-sustaining and safe at far distances, you must be able to repair and maintain equipment. If you’re thinking, Oh, I’ll just let yards along the way worry about those problems, then more power to you, and I wish I had your money. If you leave the beaten path — and this is what cruising is all about — you’re going to have times when you fix it yourself or it doesn’t get fixed. This can involve serious safety issues because if you can’t get to it you can’t fix or maintain it. The engine and generator must have access all around, not just that manufacturer-touted mythological side that has “all the parts you need to service.” But that’s just the beginning. Air conditioning, through-hulls, freshwater pumps, bow thrusters, water heaters, watermakers, rudders, stuffing boxes and anything else that needs inspection and maintaining must be accessible. This means more than being able to get your hand to all parts; it means you must be able to get both hands, tools and light to the parts and must be able to remove the part, which includes getting it out, and replace it. Ventilation: Many boats have few opening portholes and hatches. This increases construction costs, and they aren’t needed for marina barges. But you can’t run an air conditioner at anchor unless you run the generator. I am strongly opposed to running a generator at night while sleeping unless the boat and the generator (including the installation) were designed, built and maintained for that purpose, and there are multiple alarms for the myriad disasters this could cause. For air conditioning, we open hatches and portholes and use a 12-volt Bora fan that draws almost nothing. Good ventilation also helps with the depressing cave effect that many get when cooped up down in a hull for long periods of time. A simple wind scoop, fixed over a hatch can create amazing ventilation at anchor. Private spaces: Cruising for lengthy periods without being able to have private times can quickly lead to unhappiness. Your boat may not have this problem, particularly if it has multiple living areas and multiple levels, as with a flybridge. 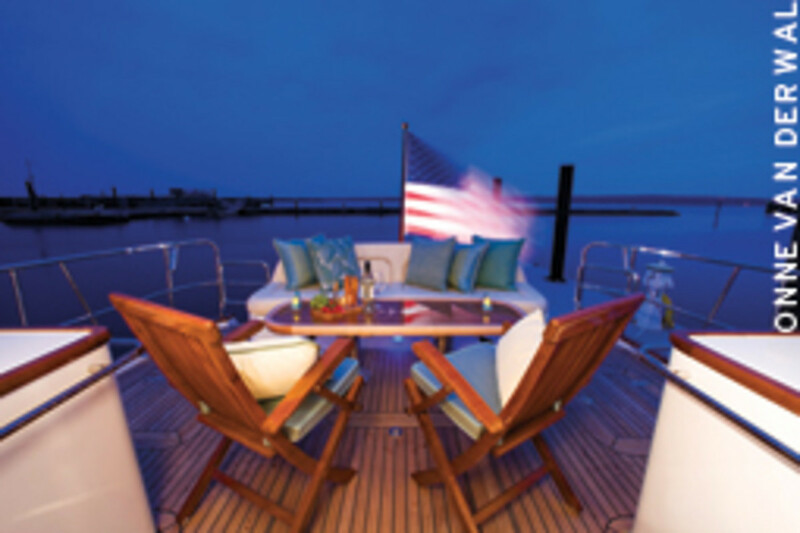 If your boat doesn’t have separate spaces, you can solve the problem with a little creativity, such as adding curtains around the chart table or a bunk, establishing “his and her” zones. Transportation: A good dinghy is indispensable. Our 12-foot aluminum dinghy was built to our specifications 23 years ago and has a 20-hp Yamaha. It serves well as a cargo boat, fishing boat, ferry, dive boat and exploring boat. But your cruising boat must have a place and system for quick, easy and safe storage. This usually means well executed davits or a lift, but don’t underestimate the “quick and easy and safe” part. We’ve seen quite a few boats with a nice dinghy mounted on top and very expensive davits, which you can’t use if you tie to the wrong side in a marina or if it’s rough in the anchorage. Toys: After the first few days or weeks of cruising magic wears off, you’ll be looking for diversions. That dinghy might be your primary escape, but kayaks, canoes, stand-up paddle boards, home entertainment centers (run off the inverter) and good books will be much appreciated. The key here is there must be a place to put them on board. Escape and survival: What you need will depend on how and where you cruise, but there are some minimum standards. The boat will need a good life raft or at least a dinghy that can be launched in a storm and will survive, although dinghies seldom suffice for true survival rafts. Even if you plan to cruise just coastal waters, you’re going to be aboard much more of the time and be more exposed to the potential of storms and fires. Because of this, a critical element is the space to store a life raft or suitable dinghy, safely out of the way of boarding seas and in a place where it can be easily and quickly launched. Our Switlik offshore life raft will deploy automatically if we’re sinking. All life rafts must be maintained according to manufacturer’s instructions. 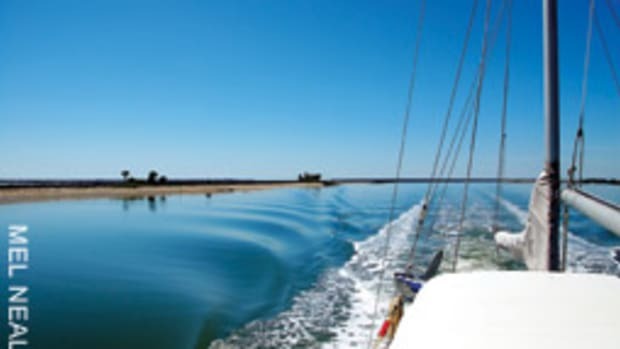 Travel the distance … safely: There are vast differences between boats in the area of safety, but no matter how you cut it, a cruising boat should be tougher than a boat designed to live only in marinas. We all know this, but sometimes have problems sorting it out. 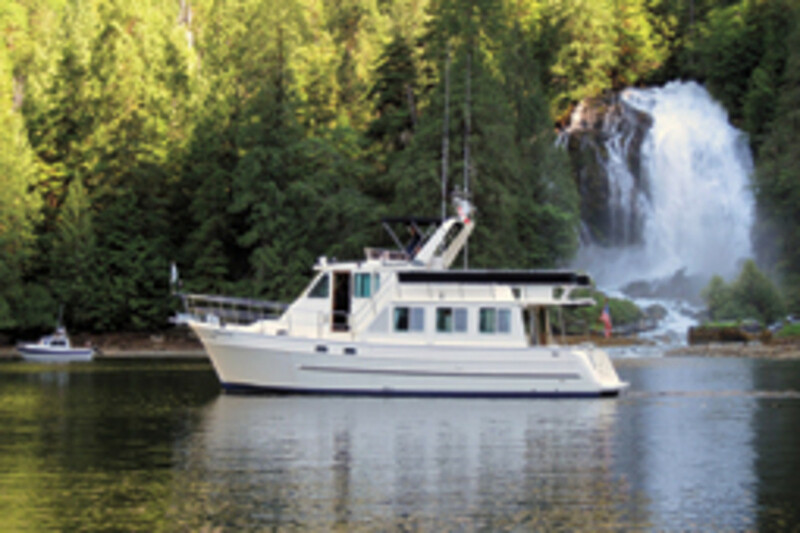 If you plan to cross oceans, you’ll want to spend your money on a boat like a Nordhavn, which is expressly designed and built for trips like this, or a purpose-built bluewater sailboat. 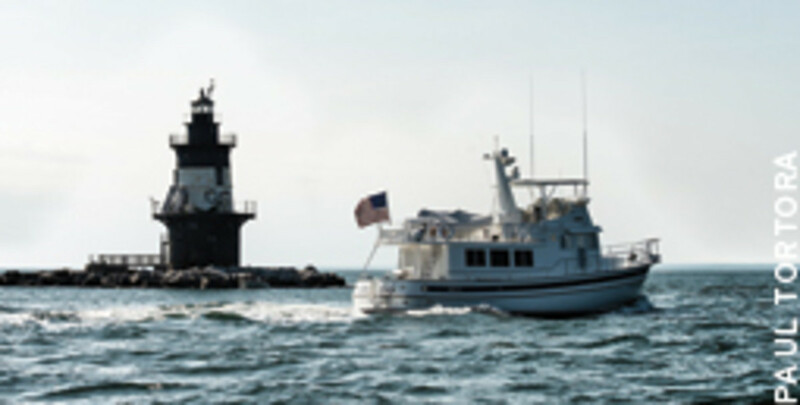 If you only plan to do coastal cruising, you might think you don’t need to spend the money for offshore safety features, spending more of the dollar on inshore comforts — maybe a well-aged Hatteras with more open spaces and big windows. But it’s not that easy. Probably the closest we ever came to losing our boat was in Albemarle Sound in North Carolina. Mel and I were in a tough 47-foot motorsailer with our first baby girl, Melanie, who was less than a year old. 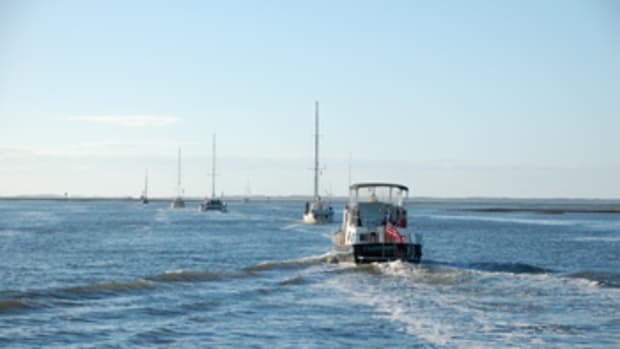 We were making the short trip from Ocracoke Island to the North River. The summer day was hot, and there were thunderstorm warnings. I looked ahead to see not just clouds and rain racing toward us but a wall of water lifting up into the air from the surface. When it hit us, the dinghy, trailing astern, went airborne and remained airborne for the duration, twisting wildly on its painter. I clung to the wheel using all the strength I had and the muscle of the 160-hp Perkins to keep the bow into the storm. Mel clung to Melanie, huddled below in the saloon, both in lifejackets. We survived. We had a tough boat. If we’d had a marina barge or a light sailboat, we might have been like the ones who didn’t make it. So what do you do? First, try very hard to figure out where and how you will cruise, then get the boat to suit, spending your dollars on your comfort needs but also, more important, on things to keep you safe. Next, get to know your boat intimately. This not only means how to maintain and repair her, but also how she behaves and how to handle her. 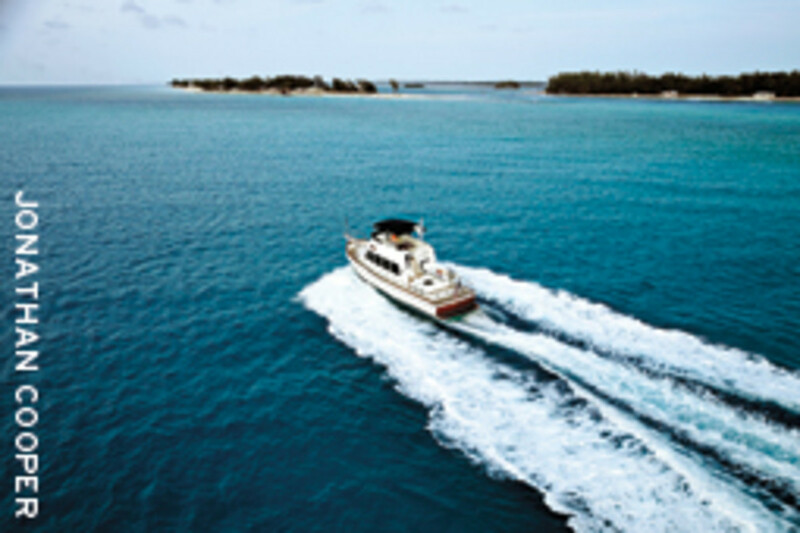 Next, take great care to cruise well within your boat’s — and your — abilities. This not only means where you go and how far you go, but also paying meticulous attention to the weather. A few years ago, some friends made the trip from the Bimini chain in the Bahamas back to the U.S. East Coast. They were in a cruising boat that worked well for them. It was what I call a “box” boat, but it had a lot of room, comfort, access and space. It would also travel reasonably well at hull speed and on a plane in the right circumstances. As is typical of this type of boat, it had a high, flat stern, which created a lot of room for the spacious master stateroom aft with queen size bed. 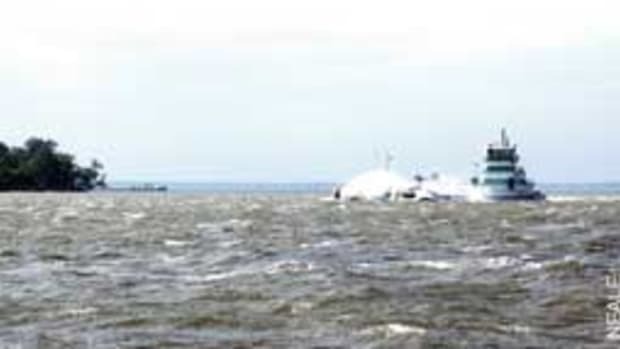 But this day the wind came up strongly from the east, and the waves from astern began to build as they moved farther away from the lee of the islands. Soon the following seas were pushing that box stern around until the boat was having difficulty answering the helm. They were in danger of broaching or pitchpoling. They decided it would be best to head back to Bimini, but after several attempts they had to give that up. The boat rolled so badly as her beam began to face the waves that they aborted each turn. They had to continue on, trying to keep the boat stable. Before the trip was over, several of the broad windows in the main saloon — the very ones that they so appreciated because of the light and view that they provided at anchor — had been smashed by boarding seas, and the boat below was awash. They had to call the Coast Guard to keep them afloat. The boat had been perfect for them for years, cruising up and down the ICW and making calm crossings to the Bahamas to anchor in protected harbors. But this day they used it beyond its capabilities. They soon sold it. 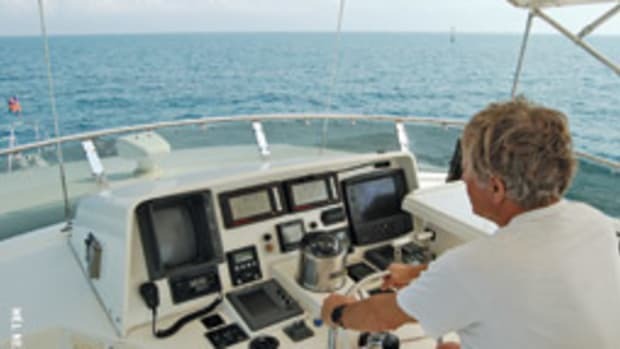 You will probably be cruising in unfamiliar waters, so you may need more sophisticated navigation equipment than you’d need for a Sunday afternoon outing — for example, exceptionally good chart plotters (as well as paper charts), depth finders and binoculars. You may also need better communications gear. We have a Digital Antenna cell phone antenna on our mizzen, around 50 feet up. The cable goes to an amplifier below that transmits throughout the boat. This helps to bring the signal in when we’re far from cell phone towers. Long-range cruisers might also want a single sideband set or satellite communications gear. It goes without saying that the boat should be well equipped with robust safety gear, such as lights, EPIRBs, PLBs and fire extinguishers. The list goes on and is beyond the scope of this article. Range of speed: Most people think of cruising boats as displacement hull boats, powerful but slow. There are good reasons for this. But after more than 60 years of cruising in all types of boats, I believe there is also much merit to a boat that will cruise comfortably at hull speed, sipping fuel, and will also travel fast, preferably on plane. Getting up on plane can result in more speed more economically than just pushing water aside with brute power. Speed can add to safety and enjoyment. When you’re out on the water and a storm is coming, it’s nice to be able to flex your horsepower and get to a safe harbor quickly. Also, it’s often important to make a harbor while the light is good so you can read the water, or get from one harbor to the next in a day so you won’t have to run at night. You can utilize shorter weather windows to make time and fuel-saving runs between inlets. Our displacement hull motorsailer will sip fuel and comfortably cruise at around 6 knots or forge along at 10 knots if we push her. Just that small difference can mean a lot.